A man has been given an eight week custodial sentence for shop lifting from Morrisons, Bognor Regis. A spokesman for Sussex Police said Peter Nicholls, 52, of Church Street, Littlehampton, was caught on CCTV stealing bottles of spirits from the store in Bedford Street on Saturday and Sunday. Nicholls was arrested by on March 4 after he was detained by staff at the store, they confirmed. 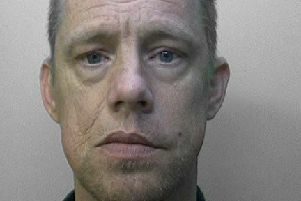 He pleaded guilty to two counts of theft from a shop and going equipped for theft and was sentenced at Crawley Magistrates’ Court on Monday (March 5). The spokesman said Nicholls was given an eight week prison sentence for each charge, all to run concurrently.